After opening the final door on my Ciate Advent Calendar, I thought I would share the full 24 polishes with you in case you are considering purchasing one of the advent calendars for next year. I'm really happy with the contents of my advent calendar, and I've already bought another one in the sale ready for next year because I think they are so pretty and really great value for money. 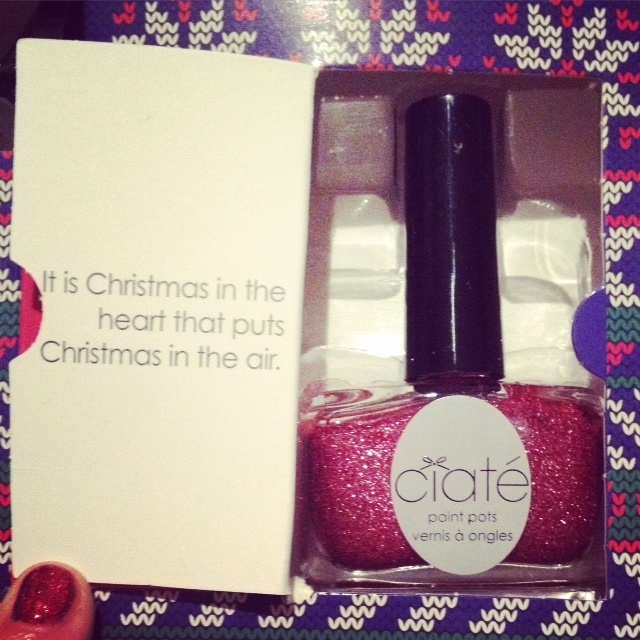 The variety of colours you receive, and the fact you receive two of the Ciate Caviar Pearls as well as a full size polish on Christmas Eve, makes this my favourite beauty advent calendar on the market. Behind each door, there is a quote as well which I think is super cute! Here is a photo of me opening my final door today on Christmas eve! Which advent calendar did you have this year? Were you pleased with the contents? Happy Christmas Eve everyone, and I hope you have a very merry Christmas tomorrow!